"When I finally saw the color pictures in the Chicago Tribune of the huge triangle table, I couldn’t believe that all of these tongues and pink and flowers and fronds had come out of a woman who looked like my mom. Her real name was Judith Sylvia Cohen, and she had taken our mothers’ unspoken appetites and invented a female gaze in art. “Reclaim! Reclaim! 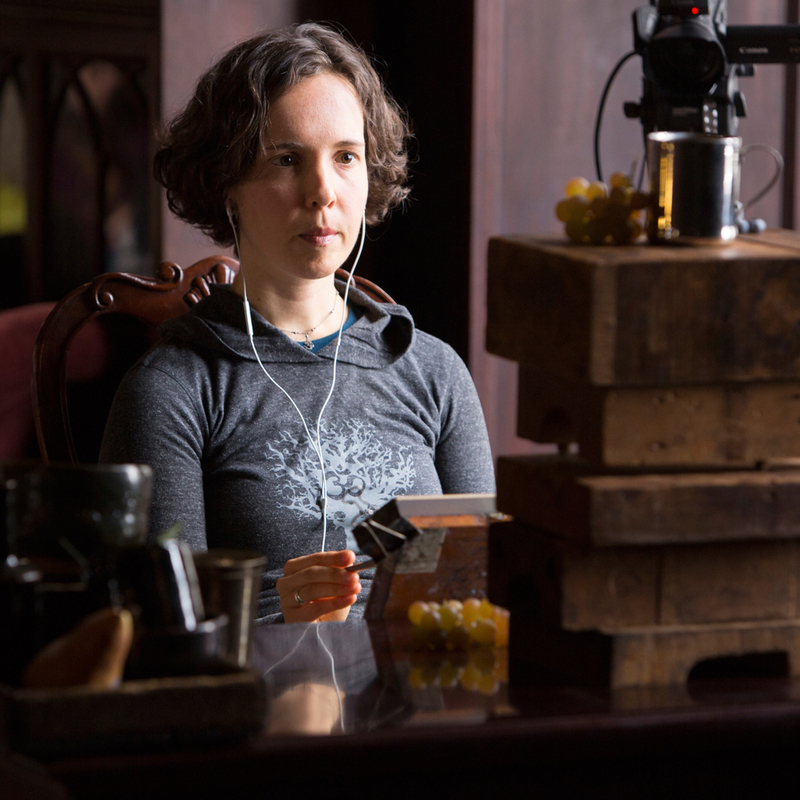 Reclaim!” she shouted as she pointed out how people had made art synonymous with genius and genius synonymous with men." [Keep reading]. 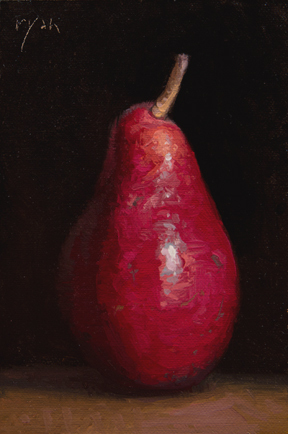 If you enjoy this painting, you may also like to see a bunch of my paintings of pears.